Most employees in Dubai do not know their rights upon the termination of their contracts of employment, so the issue has to be carefully looked into. The article below shall elaborate on the duties employers have regarding registration of employees and the rights of the employees after the termination of their labour contracts in Dubai, United Arab Emirates. In general terms, all foreign employees wishing to work in the Dubai must be employed by an approved licensed company and he/she must be issued with an entry permit for employment purposes, a work permit and a Dubai residence visa. In compliance with the law, employment relations in the private sector in Dubai are regulated and govern by Federal Law No. 8 of 1980 regulating Labor Relations. Employing foreign workers in Dubai entails complying with certain administrative procedures such as residence visa. 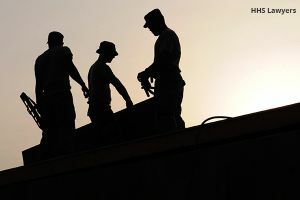 Without a work permit and or company sponsorship, the employer is obligated by virtue of article 13 of the Labor Law to obtain permission and or company sponsorship from the Ministry of Labor. With respect to the probation period, it is worth noting that any provisions of the contract of employment are invalid if it contradicts in any way conflicts with the public interest or the UAE, Dubai employment law. These provisions can relate to the formation of the period of probation or to any penalty applied to the worker. And by virtue of Law No.8 of the Federal Law of 1980, probation period for employees cannot exceed a period of six months. That notwithstanding, additional rights can be agreed upon the signing of the contract of employment such as commission and bonuses. Nevertheless, if the termination of the employment contract is within the 6 months probation period or less and depending on the contract, if this happens, the employee cannot claim the above-mentioned rights as he will only be entitled to an unpaid salary. With regards to how to claim the labour rights, it is important to note that for an employee to be able to apply for Dubai Labor Authorities regarding any employment matter, the worker should have a work permit and or company sponsorship. Without these, the Labour Authorities will not deal with the case. 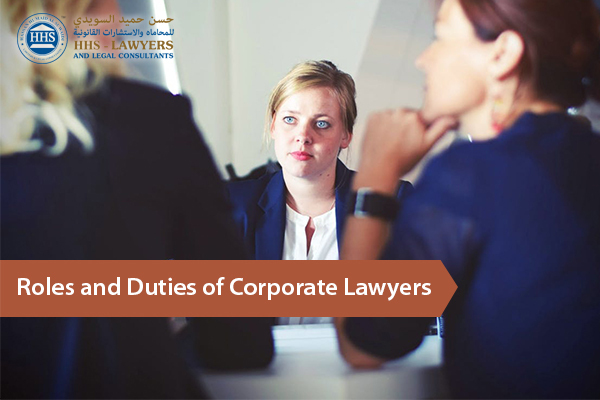 With an overview of the Dubai Labour law code, one may wonder why going through the above-mentioned procedures is necessary. Indeed, it is an important requirement of the Labor Code and applying through these labor authorities helps to settle a high rate of issues between employers and employees. Besides, such procedures save time and reduce the number of cases before the Labor Courts. Also, filing a claim to the labor authorities of Dubai-UAE does not cost anything, and to me, this is an added advantage of this procedure or you can take the help of HHS labour lawyers in Dubai form top law firms in Dubai UAE. 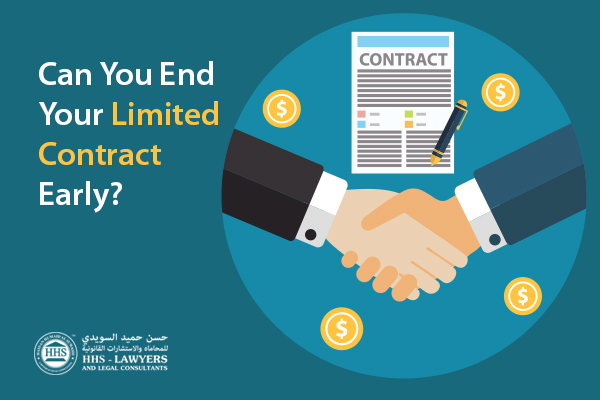 Can You End Your Limited Contract Early? 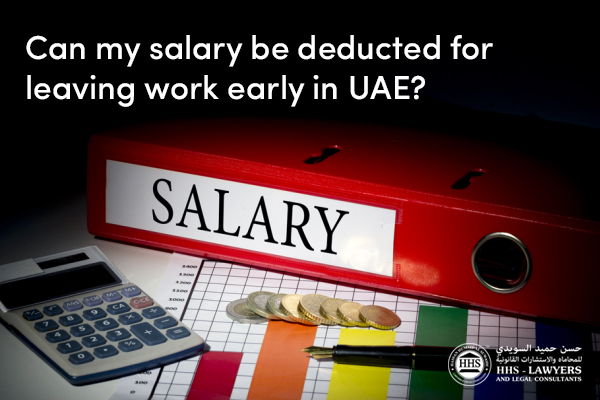 Can my salary be deducted for leaving work early in UAE?